Here are a few pictures to catch you up on the last few months. Many memorable moments. 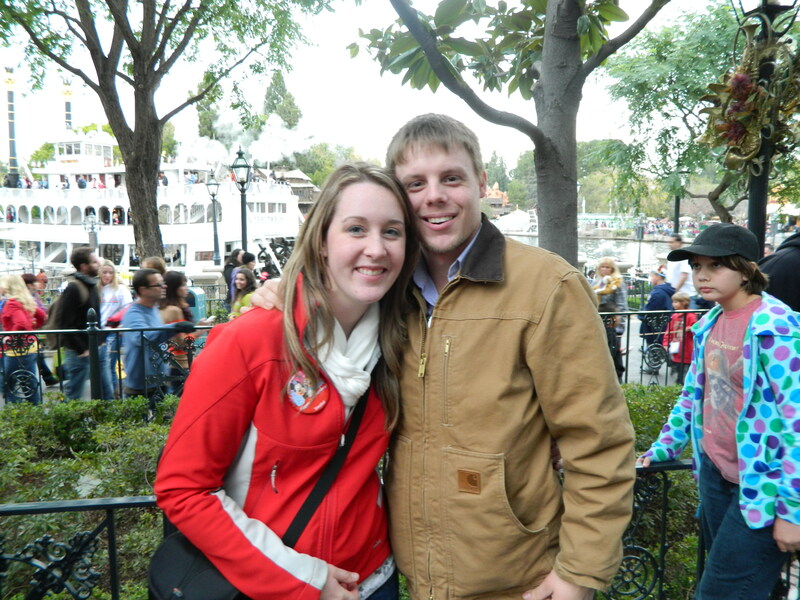 We spent our first anniversary in Disneyland! It has been the best year of my life. I love you, G! 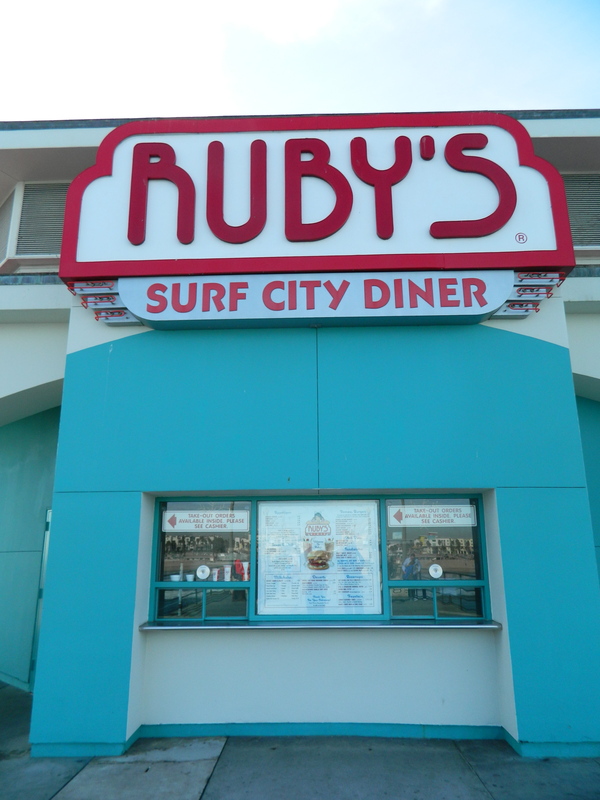 Ruby’s Diner! I love this place so much. Huntington Beach, CA will always have a piece of my heart! My parents and us at Santa Monica Pier. I am indebted to these two for their love, wisdom, and support. My In-laws! I love them dearly and am daily amazed by their kindness, generosity, joy and love. No, I’m not brown-nosing. 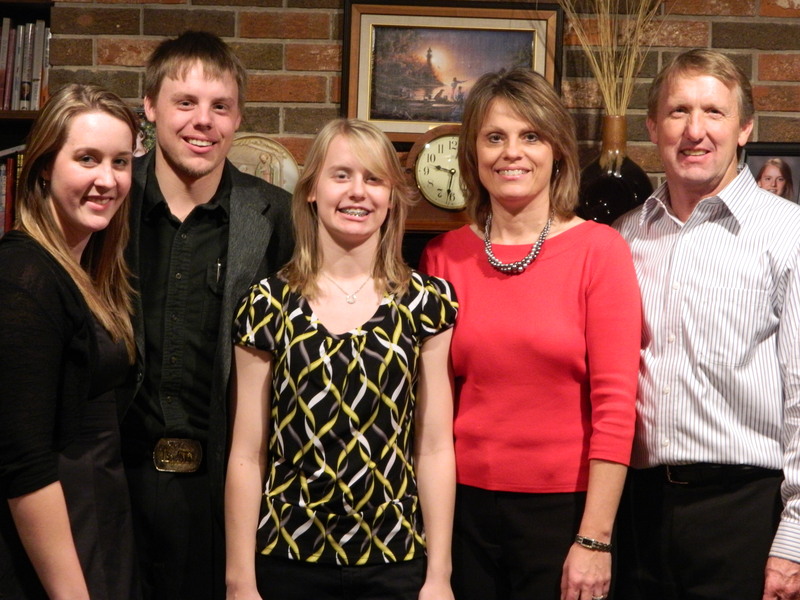 My family is fantastic, and I am grateful! I love this room in our house. 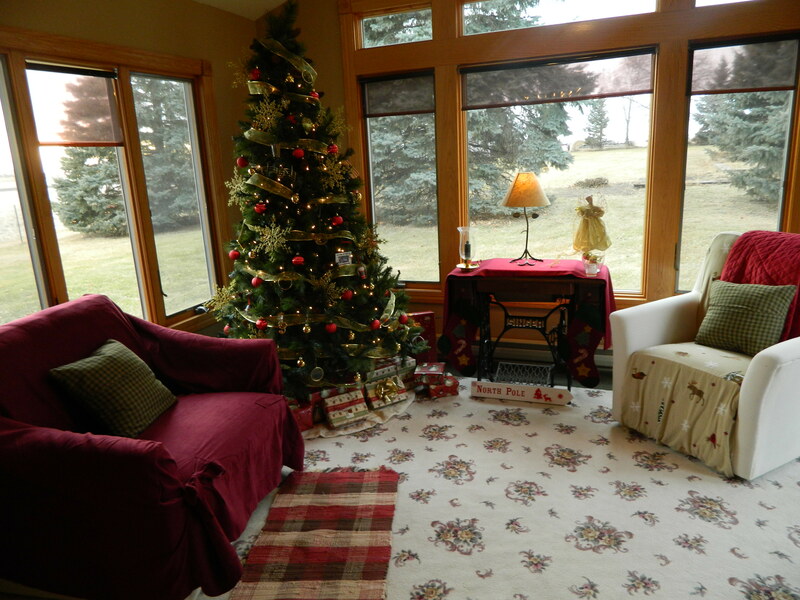 It was so fun to decorate it for Christmas this year. Hopefully this makes up in part for my absence these many months. Stay tuned! I may be a little late, almost two and a half months late. This little farmer’s wife has had her world rocked since the last entry…and all for the good. 1. I now have a beautiful new camera that is not broken with which to fill our blog with pictures! Yay Nikkon! 2. We will finally be home for a while from many travels which will hopefully allow for more consistent blogging. 3. Our family will have a new member this coming August! We are expecting our first baby in August! Praise the Lord! So excited! Stay tuned and enjoy this unusually warm winter. One September 11, 2011, we began a new service here in my corner of South Dakota. For a while now, a bunch of us at my fabulous church have been discussing the need there is for an experience or event for the younger generation. Many ideas had been tossed back and forth, and finally, everything came together and our Sunday night service was born. Yay! This group has blessed me on SO many levels. At home, I led worship at the church I was born in many weekends out of the month. I worshiped and played with incredible people and it was such a special part of my life. Anyone out here can tell you that there is a vast difference between country life and city life. It is because of this dichotomy that I was unsure if I would have the special experience of being in a praise band like I had at home again. First off, I thank God for the dear friend and Starbucks lover he has given me out here. She, in so many ways has spearheaded this service and above all has listened to the Lord guide her through it all. She is driven and is an incredible wife and mother. Thank you God for forerunners like her in my life. This woman and her husband (who is equally awesome!) 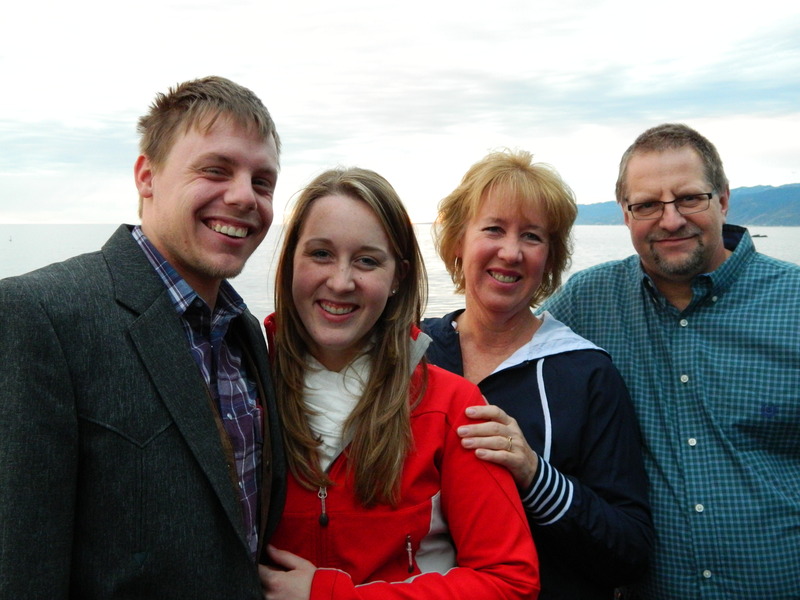 rounded up friends they knew that love Jesus and music and we began rehearsing in August. Our first rehearsal was a big WOW! You never know what you are going to get what you throw a bunch of musicians together that have never played before and barely know each other. That’s why God gets the credit for what’s coming. We sang and played for hours, marveling at the ease of playing together and the blend of it all. Suffice to say, we’ve rehearsed many times since, and these people are fast becoming a family to me. Each one is such a profound contributor to what we have as a whole and I am honored to work with them. Our next service is a week away and I thank God for all He’s done so far. To Him be all of it. It’s His. Wow, these weeks fly by. Recently life has been consumed by so many happenings. 1. Work- I’m a music teacher and our school recently celebrated homecoming. Another post on this later. 3. Church- Singing (and playing piano) with the Turner County Praise Band (founded 2011). YES!!! I love love love worshipping with these people! Another post to come on this. 4. Book Club- I meet with wonderful sweet women from around here and we go out to eat and discuss books and laugh A LOT! 5. Reading other blogs- I’ll have to post more on this too. There are so many wonderful things out there! I feel like I have kindred spirits (thanks, Anne Shirley) all over the country! So fun. 6. Cooking- Chocolate Chip Cookies (for my man and his working friends), pumpkin bars with cream cheese frosting, pies for the church’s soup night, and more cookies. And then there is the apple tree that I discovered in my front yard. I’m sure I’m forgetting something. But if you want to hear more, stay tuned. Fall Blessings on you all! C. I get to mow the lawn. No sarcasm here. I love mowing my lawn. It is quite large and takes 2.5 hours to mow, but I enjoy every minute. Mowing is mindless; a task that can be done with little intention or effort, leaving the mind the heart the opportunity for reflection. As a teacher whose days are bombarded with non-mindless tasks (yep, just made up another word…you’ll get used to it), and as a farm wife with many things to tend to, I savor a moment to sit, yet accomplish much while being able to think and assess my soul deeply. Tonight’s thoughts centered on my relationship with Christ. I struggle to get quiet with him without allowing the barrage of clutter from getting in the way. I’m quite conscience of what my sins are, and have an ongoing list of how I fall short. While one may think that awareness may be of help in my process of becoming sanctified (more like Jesus) for me, it prevents me from getting to the heart of my heart. I’ve been raised in a lifestyle of faith my whole life (thanks, mom and dad) and now I feel, more than ever before, that I am, or God is helping me make it my own. Really my own. And I want that…most of the time. Trust be told, I feel condemned by my lack, at times, of deeply passionate, self-sacrificing motivation to seek, learn and grown in Christ. And this fact baffles me. Why does a girl who has known Christ as long as she remembers, and read and absorbed time and time again, the sufferings of Christ and the fact of His great sacrifice, seem so indifferent to it. Why does it become common. Something of this magnitude never should. And yet, I’m sure I’m not the only one who has felt this way and struggled. This summer I had the privilege of going through the Beth Moore bible study “Believing God” with some beautiful and gracious women from my town. It was an incredible experience in that I began to, in a more complete way than ever before, understand what faith is. What does it mean to believe God; to take Him at His EVERY word. And in addition, what it means that when we BELIEVE God, it is credited to us as righteousness. This Lutheran born and raised girl who should have grace formed and molded into the core of her existance still struggles with thinking she has to do good stuff to be saved. The study helped me realize that I can’t DO anything to save myself. I have to follow the whole law to be saved by it (for which the opportunity has passed)…THEREFORE, thank God, I can believe God and confess Him as my Lord and in that moment I am saved. YES!!!! 1. Worship with some amazing people and a new service starting soon. God is good! 2. Me beginning to harvest my vegetable and attempting to preserve them. 4. Our beloved dog Duke capturing and taking the life of one said barn cat. 8. My increasing appreciation of Western movies…and so much more. My studly farmer and I are preparing to have a houseful this week (LOVE IT! ), so it may take some time…but stay tuned. It’s been a fast few days. I just got back from an incredible vacation with my dear family back “home,” and am about to leave my home, the farm for a visit with a dear friend in another part of the country! YES! I must say that it has been an incredible few days. I had the honor of participating in a worship rehearsal with some dear friends (new and old) at church. We are launching this fall a community worship experience and your prayers would be much appreciated. In other news, I have the first fruits of my labor. Or in laymans’s terms, my garden has yielded vegetables and fruits. This is a funny story because first of all, I have some lovely romas (I will add a picture to shortly) that are rather small, but red. I tasted one that my sister picked while I was gone and honestly…it was disgusting! Yuck…kind of tasted like puke. Sorry for that brutal description, but it did. A day later I got the gumption up to try a different one, and that was quite good. Are you ready for a funny story. At least funny to me…? Good. I pulled up my onions, in my naivety thinking they were done. They were done, if you like onions that are an inch to two in diameter. Bah humbug! I didn’t know that the green spiky things that stick out of the soil can start to turn brown and that that it ok. Oh well. More tomatoes are coming and I am psyched. And ps, my cucumbers are HUGE! More like squash size than cucumber size. No they aren’t squashes…I’m not that dumb…I think. Anyway, I will do my best to get pictures. Things are crazy around here. As usual, I appreciate all of you who read these crazy posts of mine. May God bless each of you and grant you moments of peace amidst the business.